Set off on a sacred rendezvous with seven holy places for Hindus to have a memorable experience of India’s religious significance and culture. The 13-day Sapta Puri Yatra encompasses visiting the holiest cities in Hinduism – Ayodhya-Dwarka-Haridwar-Mathura-Varanasi-Ujjain, and Kanchipuram. India is a truly a land of temples that pulsate unparalleled devotion and piousness. 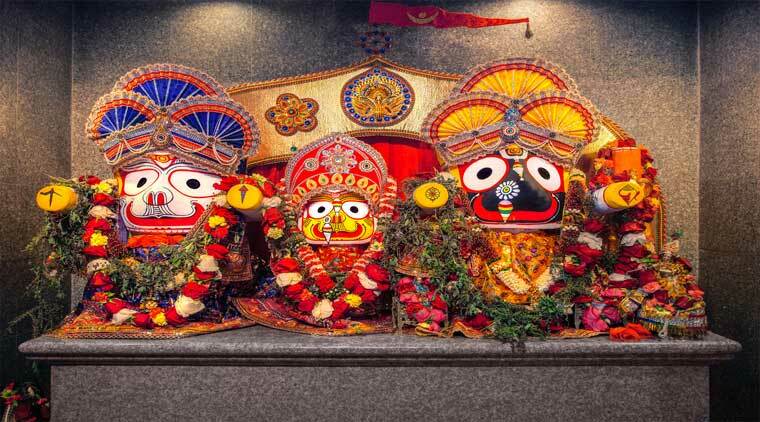 Amid the spiritual wonders of the country lies the Sapta Puri (the seven holiest places to Hindus) – the holy tirthas where God is believed to have descended in different incarnations. The soul-enriching sound of the holy bells, the fragrance of the camphor and incense sticks infusing the air, the sacred beckon of the Almighty - all these experiences make Sapta Puri tour a must-have pilgrimage journey. WaytoIndia takes you on the most important pilgrimage in India – the Sapta Puri Yatra. It is believed that if one makes a pilgrimage to all the seven sacred Indian cities, one will attain salvation or Moksha. During the religious journey, we will take you on a beguiling spiritual experience of Ayodhya, Dwarka, Haridwar, Mathura, Varanasi, Ujjain and Kanchipuram. Our Sapta Puri Yatra begins with the arrival at Delhi via flight or train. Next day, post breakfast, depart for Mathura, the birthplace of Lord Krishna. The distance between Delhi and Mathura is 183 km, via Taj Express Highway or Yamuna Expressway. Driving to Krishna Bhoomi will take approximately 3 hours. Upon arrival, check in at your hotel. After lunch, you can visit three important temples in Mathura, namely Krishna Balaram Temple, Vishram Ghat and Rangabhumi. The splendid beauty of white-marbled Krishna Balaram Temple or ISKCON Temple will grasp your senses. Later on, you can visit the marvellous Vishram Ghat, featuring a myriad colours, cultures and traditions. A boat ride in Vishram Ghat costs INR 20-50 per person. Do not miss the evening aarti held along the Yamuna River, a sight to behold forever. On Day 2 of our Sapta Puri Tour, visit Mathura’s famous Keshav Dev Temple. The holy shrine dates back to 5000 years ago when Lord Krishna’s great-grandson Vajranabha is believed to build the same. According to folklores, the temple is built over the prison which was the birthplace of Lord Krishna as mentioned in Hindu mythology. As such, Keshav Dev Temple holds immense religious significance for the Hindus. Next on our list of Sapta Puri is Haridwar. After a quick Darshan at Krishna Dev Temple in Mathura, we will set off on a long drive to visit the “Gateway to Lord Vishnu”. It would take around 6 hours to travel 349.4 km. via Taj Express Highway or Yamuna Expressway. Upon arrival at Haridwar, check in at your hotel and the rest of the evening is at your leisure. Enjoy overnight stay at your hotel in Haridwar. Haridwar is one of the holiest cities in Hinduism, a quaint little pilgrimage site in the Indian state of Uttarakhand. An abode of Lord Vishnu, the city beholds innumerable temples and religious places which make it a prominent place to visit. A dip into the holy waters of River Ganga flowing here is believed to get rid one from all the sins of life. Take a spiritual tour of Haridwar’s most popular Hindu shrines namely, Mansa Devi Temple, Chandi Devi Temple, Maya Devi Temple, Daksheswara Mahadev Temple, Doodhadhari Barfani Temple and Bharat Mata Mandir, Visit Har ki Pauri, or the footprints of God, to experience spectacular Ganga aarti in the evening. Later, we will drive to Delhi for our onward journey to Lucknow next day. On Day 4 of our Sapta Puri Yatra, board a flight or train from Delhi to reach Lucknow – “Nawabon ka Sehar.” Upon arrival at Lucknow city, our representative will directly transfer you for a long drive to Ayodhya, one of the seven sacred Indian cities according to Sapta Puri Sloka. The distance between Lucknow and Ayodhya is 135.1 km. and takes around 2 hours 36 minutes to reach via NH27. The 9000 years old city of Ayodhya has its mention in Hindu epic Ramayana and is known to be the birthplace of Lord Rama. Located at the banks of River Sarayu, it is one of the most visited pilgrimage sites in India. There are several temples in Ayodhya, each having its own religious significance and architectural splendour. Visit the most reckoned Ram Janmabhoomi Temple, dedicated to Lord Rama – the seventh incarnation of Lord Vishnu. Other popular places to visit are Kanak Bhawan, Hanuman Garhi, Moti Mahal, Treta ka Thakur and Guptar Ghat, the place where Lord Rama is believed to drown himself in a “Jal Samadhi”. Overnight stay at your hotel in Ayodhya. Next day morning, embark on a drive to Varanasi which is located 205.1 km, from Ayodhya via Harlalka Road. It takes approximately 5 hours to reach and you can stop-over at Jaunpur to have your lunch. Upon arrival, complete the check-in formalities at your hotel and you can rest for the entire day. In the evening, you can visit the numerous ghats that beautifully adorn the “Spiritual Capital of India,” to experience myriad sights, traditions and rituals that symbolise our religious significance. Stay overnight at your hotel in Varanasi. On Day 6 of Sapta Puri Tour, we will spend the entire day exploring Varanasi’s spiritual call at its best. Varanasi or Banaras, also known as Kashi as mentioned in Hindu scriptures, is the oldest holy city in India. It has been an exemplary ensemble of Indian philosophy, spiritual ethos, traditions and culture since time immemorial. 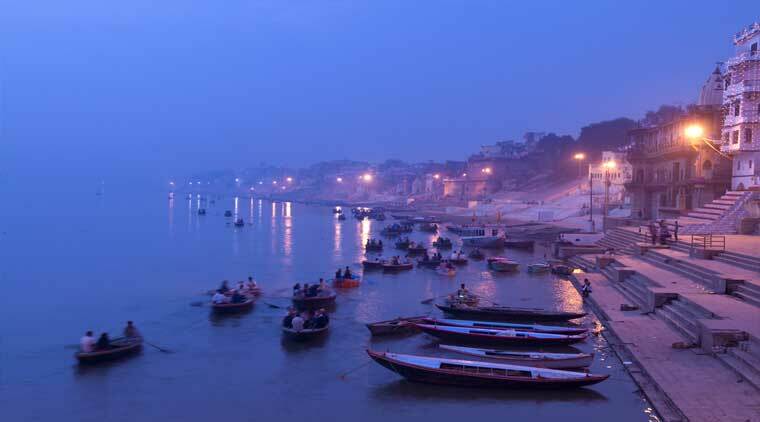 Located at the banks of River Ganga, Varanasi is known as the abode of Lord Shiva. From its bustling ghats to glorious temples, narrow lanes and architectural heritage, it is a city filled with delightful surprises at every corner. It is believed that once-in-a-lifetime visit to Kashi can help a person attain salvation. The more you explore this ancient city, the more you fall in love with it. Visit Shri Kashi Vishwanath Temple, one of the most sacred Hindu shrines in India which is dedicated to Lord Shiva. The temple has a Shivlinga which is said to be one among the twelve Jyotirlingas. Other major attractions are Assi Ghat, Sankat Mochan Temple, Tulsi Manas Mandir and the Jain Shrines. The evening aarti at the ghats of River Ganga is a beautiful sight to cherish forever. Next on the list of Sapta Puri is Dwarka, another famous pilgrimage site that attracts devotees from around the country. To visit Dwarka, board an early morning flight or train from Varanasi to reach Ahmedabad. Directly from there, head off to Dwarka which is 438.1 km. via NH47 and NH947. It would take around 7 hours 32 minutes to reach the city and therefore, we can take a short break anywhere in Jamnagar or Rajkot. Upon arriving at the “mesmerising kingdom of Lord Krishna”, check in at your hotel. Spend the evening at your leisure. Overnight stay in Dwarka. It is believed that after the demise of Lord Krishna and consequent fall of the Yadav dynasty, a colossal flood submerged the erstwhile City of Gold to the bottom of the ocean. Today, Dwarka sits at the banks of Gomti River and is reckoned for the Dwarkadheesh Temple, a notable religious site dedicated to Lord Krishna. Other popular places to visit in Dwarka on your Sapta Puri Yatra are Gopi Tarav, Nageshwar Jyotiling Temple and Beyt Dwarka on a ferry ride. Day 9 of Sapta Puri Yatra starts off with early morning drive from Dwarka to Ahmedabad. Upon arrival at the capital city of Gujarat, set off on your onward journey to Indore via flight or train. Reach Indore and check in at your hotel. In the evening, you can explore the Sarafa Bazaar, famous for its delicious street food. Stay overnight in Indore. Post breakfast, drive to Ujjain – one of the seven holy places for Hindus or the Sapta Puris, It is a short drive of 1 hour (56.4 km.) via Ujjain – Indore Road. Some of the most famous temples in Ujjain that we would cover in Sapta Puri Yatra are Mahakaleswar Jyotirlinga Temple, Bhaironath Temple, Chintaman Ganesh Temple, Mangalnath Temple, Har Siddhi Mata and Gopal Mandir. The Bhasma Aarti held at the Mahakaleswar Temple is another attraction of Ujjain. On Day 11, drive back to Indore for your onward journey to Chennai. You can catch a direct flight or train from Indore to reach Chennai. Upon arriving, check-in at your pre-booked hotel. Spend rest of the day at your leisure. As we head off to the end of our Sapta Puri Yatra, we will visit Kanchipuram as mentioned in the Sapta Puri Sloka in Sanskrit. After a hearty breakfast at your hotel in Chennai, drive for 73.8 km. via NH48 to reach Kanchipuram Sapta Puri in approximately 1 hour 31 minutes. 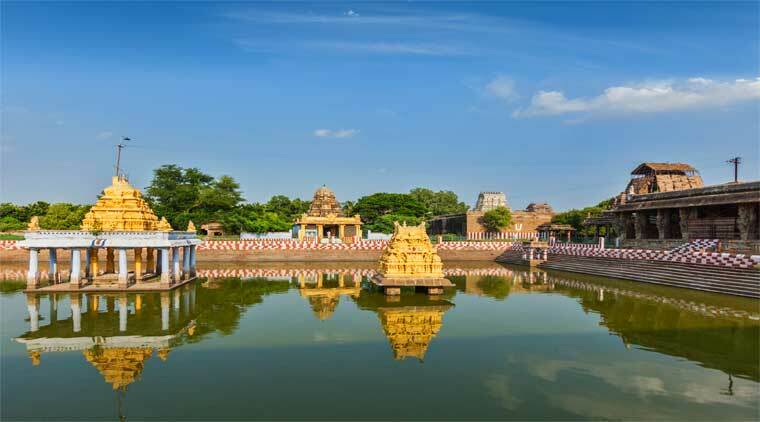 The mesmerising city of Kanchipuram is one of the most sacred pilgrimage sites in India and the holy abode of Adi Shankaracharya. Located in the sound Indian state of Tamil Nadu, Kanchipuram is renowned for its awe-inspiring Hindu temples that feature unmatched holiness and architectural beauty. It has about 108 Shiva temples, among which the Ekambareswarar Temple is considered the most pious. Lord Shiva is the presiding deity here and is worshipped as Prithvi or the earth. The holy shrine is spread over 20-acres of land, featuring 11 storeys and one of the tallest temple towers in South India. The Kailasanathar Temple dates back to the 8th century and are dedicated to Lord Shiva, It features marvellous sandstone carvings throughout the temple complex. Other popular temples to visit are the Kamakshi Amman Temple, Vaikunta Perumal Temple and Varadaraja Temple. On the last day of your Sapta Puri Yatra, drive back from Kanchipuram to Chennai. From there, you can depart for your onward journey. We wish you a happy, safe and comfortable journey as you embark on seeking spirituality in India. To ensure your Sapta Puri Yatra is a one free of hassles and inconvenience, we provide you some important travel tips that you should keep in mind when planning your tour. 1. Best time to visit: November to March is the best time to take Sapta Puri Tour in India. This is the time when you can enjoy salubrious weather and a blissful experience of vibrant fairs and festivals that emphasise the true spirit of India’s spiritual traditions. 2. How to reach Mathura: The Indira Gandhi International Airport in Delhi is the nearest major airport to Mathura. Mathura Junction is the nearest railway station that connects the city to other parts of India. It is also well-connected via roadways. Avoid carrying mobile phones, cameras and other electronic devices when visiting the temples of Mathura. Krishna Janmabhoomi Mandir does not even allow carrying car keys with remote locking system for security reasons. 4. 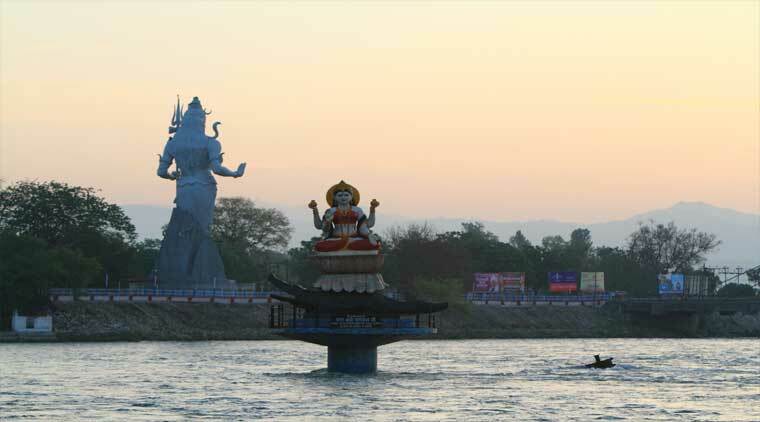 How to reach Haridwar: The nearest airport in Jolly Grant at Dehradun. One can also board a flight till Delhi and reach Haridwar via private taxis or buses. Haridwar is the nearest railway station connecting to major cities of India. It is also well-connected via NH54. 6. How to Reach Ayodhya: The nearest major airport is Lucknow, connected to major cities in India. Chaudhary Charan Singh International Airport in Lucknow is the nearest railway station. 8. How to Reach Varanasi: Varanasi has an international airport, but not too may international flights ply to it directly. However, most domestic airlines operate to and from the city. Mughal Sarai Junction and Varanasi Junction are the nearest railway stations. 10. 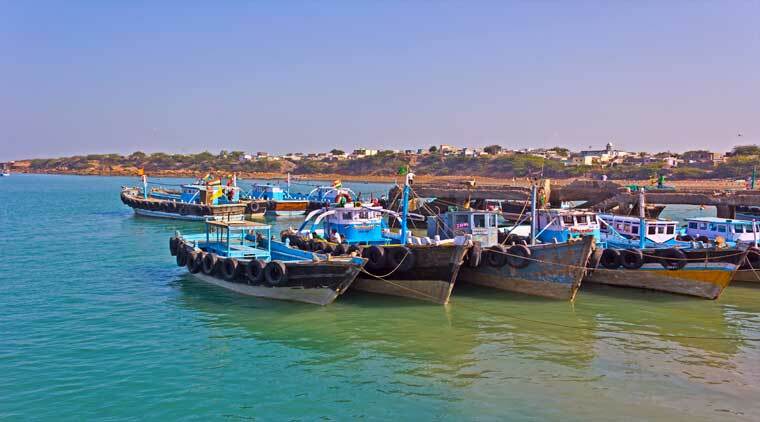 How to Reach Dwarka: Porbandar Airport (98 km.) and Jamnagar Airport (127 km.) are the nearest airports to Dwarka. It has its own rail head connected to major cities of the country. It is also connected via roadways from Ahmedabad. 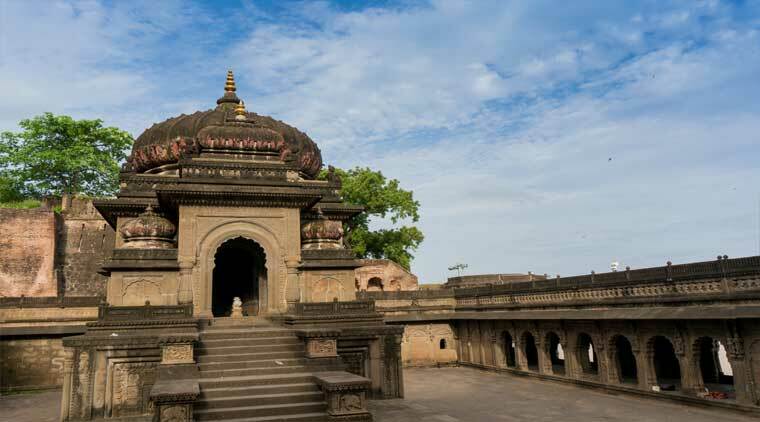 12, How to Reach Ujjain: The nearest airport is Devi Ahilyabai Holkar Airport in Indore. Ujjain Junction is a major railway station connected to prominent cities of the country. 14. How to Reach Kanchipuram: To reach Kanchipuram Sapta Puri, board a flight to Chennai Airport which is the nearest to the city. Kanchipuram has a major railhead and is also connected to other south Indian cities via roadways. Most temples remain closed from 12 p.m. to 4 p.m.
Take Sapta Puri Yatra in India and delve deeper in experiencing the country’s undying devotion and spiritual ethos. WaytoIndia promises the most inspiring Sapta Puri Tour for spiritual seekers to seek self-attainment and salvation. The new online HTML editor allows you to organize your HTML code.